As hopes of a broad Eurozone reform are fading, Europe is once again confronted with a complex political equation. Emmanuel Macron’s election last year was expected to usher in a new era of trust among member states, and especially between France and Germany. The story went that, while France would send the “right signals” to Berlin in terms of structural reforms, Angela Merkel would in return bypass her country’s aversion to risk sharing and accept the core of Macron’s proposals aimed at fixing the Eurozone’s flaws. Last September’s federal election in Germany undoubtedly helped to derail those plans. Not only has the governmental crisis delayed European negotiations on these issues by several months, but the electoral surge of the far-right Alternative for Germany (AfD) has translated into increased pressure on the entire political spectrum, away from any commitment to bold European reforms. Despite the optimism that dominated European debates until recently, the horizon was, however, already far from clear, even before the election complicated the situation further. French policy circles in particular tended to downplay Germany’s persistent financial taboos, which preclude decisive steps towards a substantial common budget or a genuine banking union with a joint deposit insurance, not even to mention debt pooling or the reviled notion of a “transfer union”. Macron had not even been installed as president that Wolfgang Schäuble, then Germany’s finance minister, voiced his opposition to any ambitious reform, as he was more concerned about the Eurosceptic turn he foresaw in his country. Though strict and inflexible in crisis negotiations, Schäuble remains a sincere, old-school European federalist, in his own way. 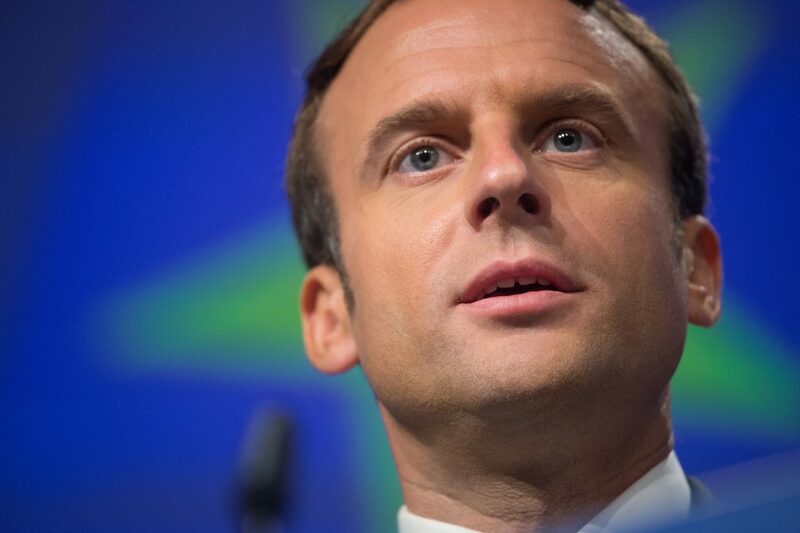 When countering Macron’s proposals, he at least bothered to advocate alternatives of symbolic significance, such as transforming the European Stability Mechanism into a “European Monetary Fund,” which could provide assistance even outside episodes of systemic crisis. During the coalition talks that were later taking place in Berlin, a majority of French commentators tried to stick to the faith that the coalition would put Europe (and Eurozone reform) first, under the impulse of Martin Schulz, until he finally had to throw in the towel. Yet, coalition parties, while perpetuating Schäuble’s overall stance and trying to strike a more consensual tone, now even seem to be backtracking on other minor concessions that he implied before the German election. This is hardly surprising if one takes on board the diverging definition of the monetary union on either side of the Rhine. These differences were visible as early as the 1980s during early discussions of a single currency, in the already complex environment of the exchange rate mechanism (ERM). While the elites of France and Italy expected the ultimate cause of monetary and political unification to prevail, economies further diverged throughout the early phase of the euro in the 2000s, and defiance surged on all sides as a result of the euro crisis. Simultaneously, the very notion of a grand plan following the course of history has diverted attention from real economic trends and the worsening political divide both within and among European countries. Quite paradoxically, while convergence towards Germany was set as the ultimate goal of European cooperation, actual interest in the country, in its culture and its complex economic reality plummeted. On specific subjects like Eurozone reform, this contradiction resulted in overly optimistic assertions. Although this confusion could have been avoided by means of a more realistic assessment, a wave of resentment seems to be setting in. While Emmanuel Macron convenes the public message that the European agenda remains unchanged, many among the advocates of a federal Europe à la française have already begun to express their disappointment and to fulminate against the German government’s lack of commitment. Optimism easily morphs into trepidation. As a result of these tensions, tacit arrangements, for example over the appointment of Jens Weidmann as ECB President next year, could be put into question, and contentious issues related to trade imbalances could come to the fore. While the euro will remain an unfinished monetary union in the foreseeable future, new lines of cooperation will have to emerge, which will probably centre less on institutional constructs and more on investment, technology and other concrete steps aimed at making European economies converge on the upside.